Rupert Brooke was right. Cities, like cats, will reveal themselves at night. That’s exactly what I thought when I strolled around Davao City at night. There’s something about night time that reveals the true colors of a certain city. To me, Davao City looks like just another city in the Philippines during the mornings. Not that I don’t like this particular city during the day, but when you’ve been to a lot of places in the country, you start to notice how similar cities are. Traffic jams, buildings, leisure spots… they all look the same to me. 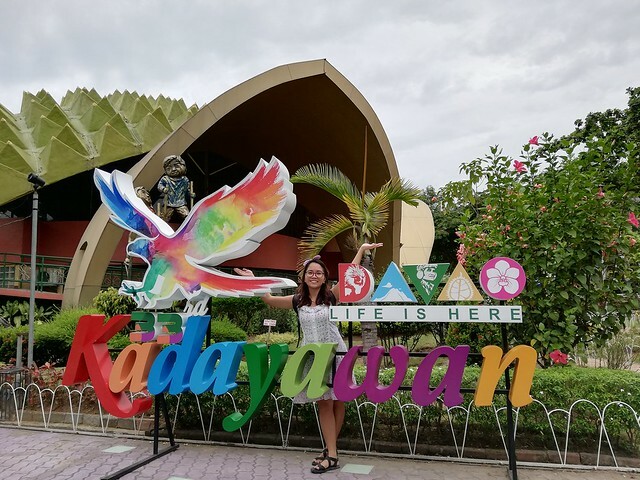 Bukidnon was my next main destination so I wasn’t expecting that much when I arrived in this city after a 21-day jaunt in South Cotabato. But clearly, I never should have made an assumption early on. Davao City was definitely one of the best places I’ve visited in Mindanao. 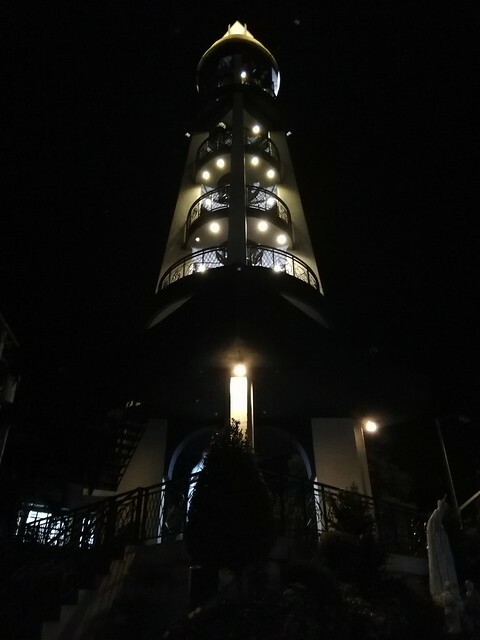 And I am so glad that I took the chance to explore this city at night. 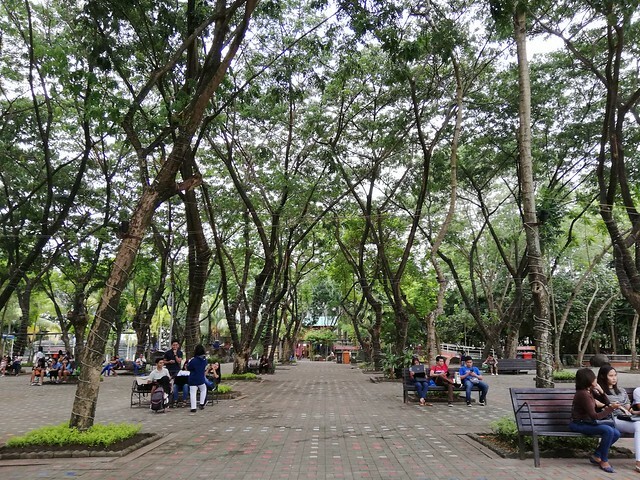 My friend and I started wandering around Davao City in the afternoon. We were still very tired from carrying our heavy backpacks the day before. So we obviously slept like a log woke up a little late the next day. Honestly, I couldn’t even remember where we ate that morning. 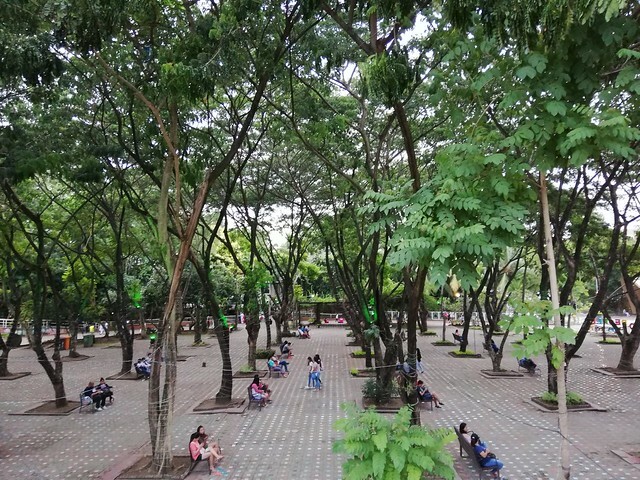 But that afternoon, we went straight ahead to the People’s Park in Davao City. I like that they named it People’s Park because it definitely is the people’s park. Growing up in a city where there is no proper park (such as shame! ), exploring parks in different places is definitely something I enjoy. I like seeing people relaxing and doing their own thing out in the open. Even those who seem to be just staring at nothing, oblivious to their surroundings, is a nice scene to see. Truth be told, I just like observing people from a distance. Well, without making them uncomfortable, of course. 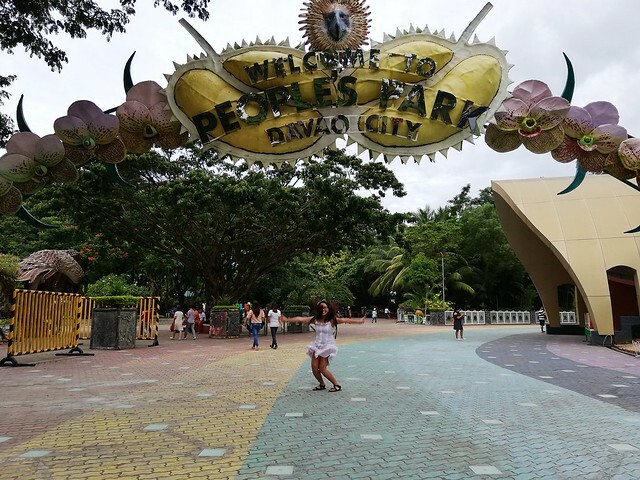 People’s Park is a must-visit when you’re in Davao City. It’s a fun place for the young and the old. 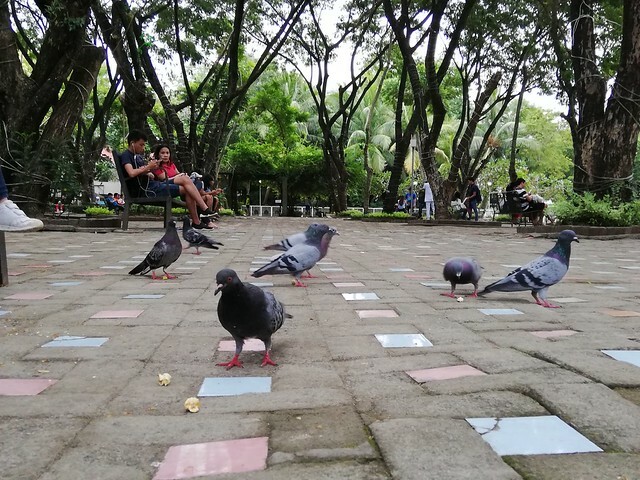 There are pigeons flying freely all around the park. If you want to run around, there’s a nice track oval surrounding the park. It was a beautiful place to unwind. 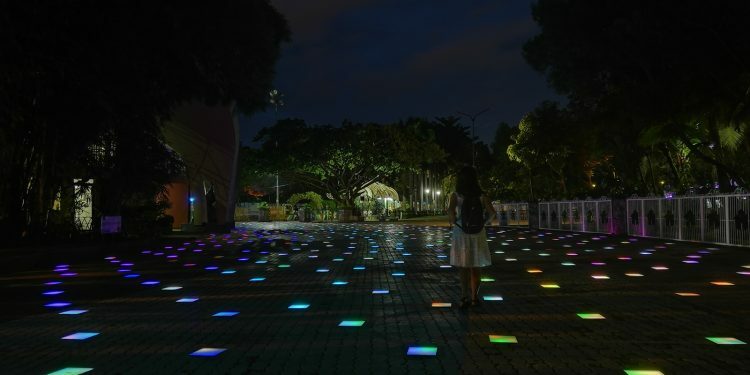 And just when I thought I’ve seen everything, the entire facade of People’s Park suddenly lit up. 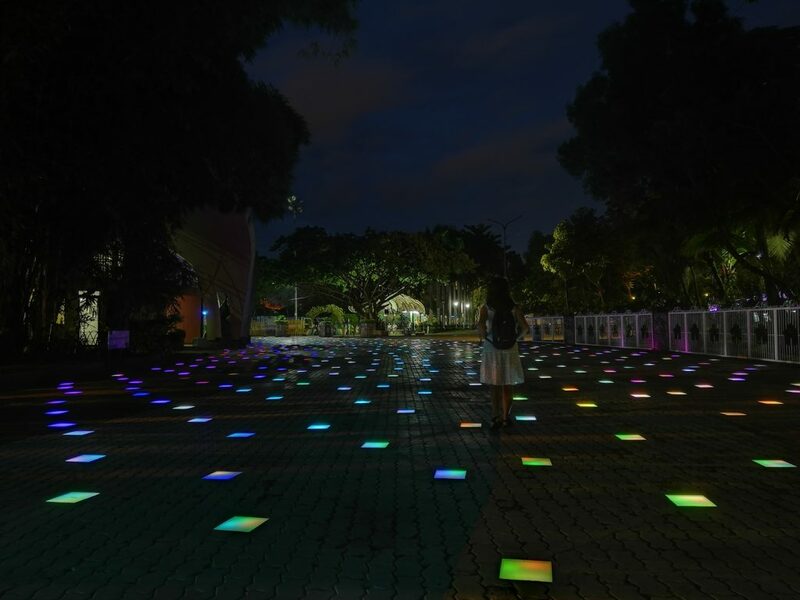 You will find yourself walking on a colorful pavement. It’s like walking on a rainbow! Night came and after an afternoon spent in the park, hunger pangs were starting to kick in. It was time to look for food. 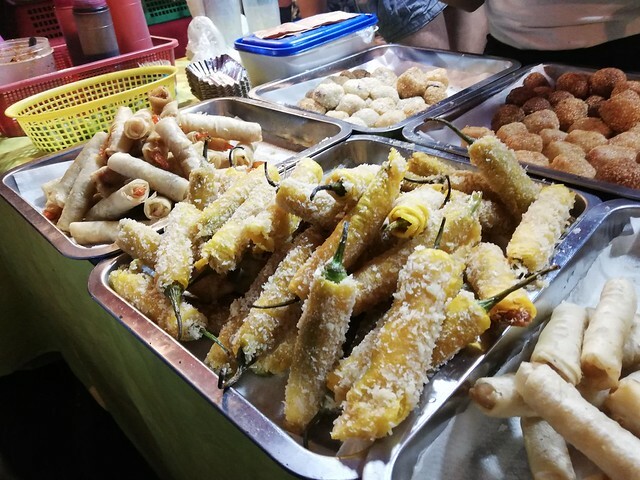 We were already planning to go to the infamous Roxas Night Market but we still went to another tourist spot just to see what it can offer. We decided to walk towards the market after that. 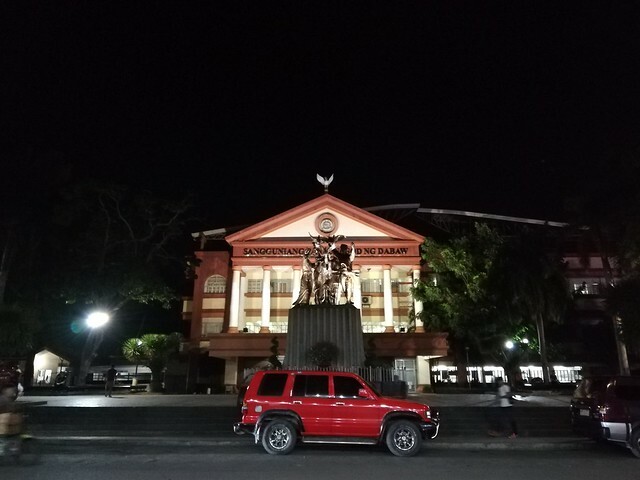 It’s fun walking around in Davao City at night. It was quite a foreign sight to me to see armed military officers in every corner of the street. Again, I grew up in a city where military presence is not always something you see. But it was actually good because I felt safer wandering around some hidden neighborhoods of Davao City. 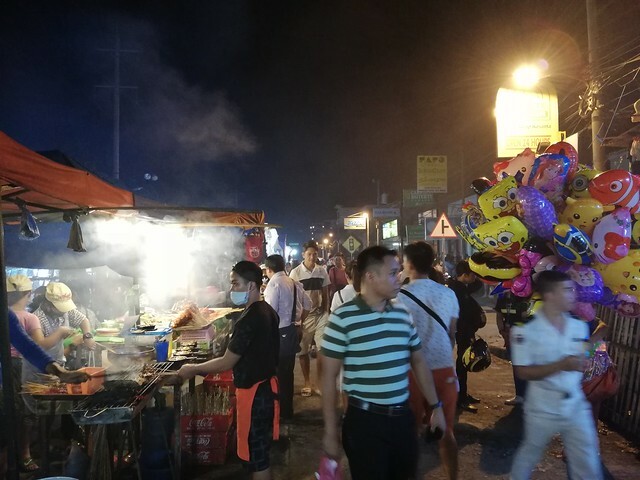 After some time of walking, with the help of our best friend, Google Maps, we finally arrived in Roxas Night Market. If there’s one word to describe my Roxas Night Market experience, it’s gluttony. Damn, I could not stop eating. 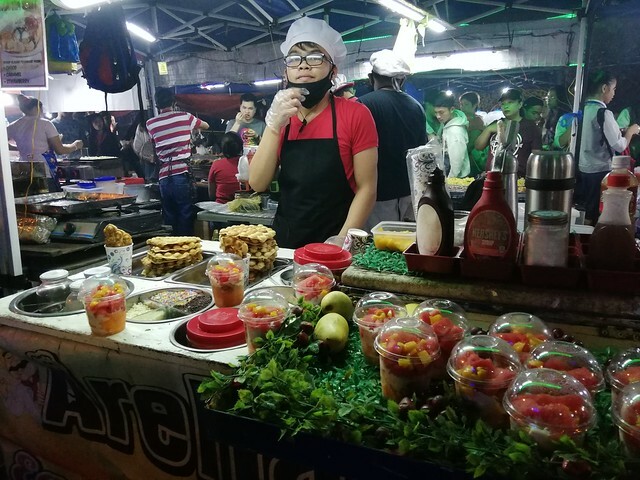 I could smell the aroma of hundreds of food in the night market even while I was still at the entrance. I got really excited but I had to control myself because we still needed to get our bags checked. Well, considering the bombing that happened in this area two years prior, security was pretty much tight. There were at least a dozen military officers stationed at the entrance and exit and some others roving around. The moment my friend and I stepped in the market, we were squealing and jumping like crazy. There’s just food everywhere! 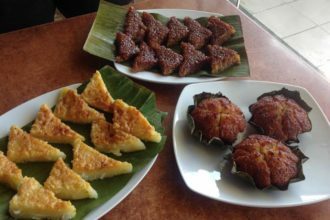 And if you have never been to Mindanao, you should know that Mindanao cuisine is probably one of the best in the Philippines. There are so many delectable dishes to try! My friend and I ordered some seafood and barbecue dishes. We paired it with pastil – a native Maguindanaon delicacy which is basically an adobo and rice wrapped in banana leaf. After our ‘proper’ dinner, we ordered some refreshing drinks and strolled around the market to look for more! 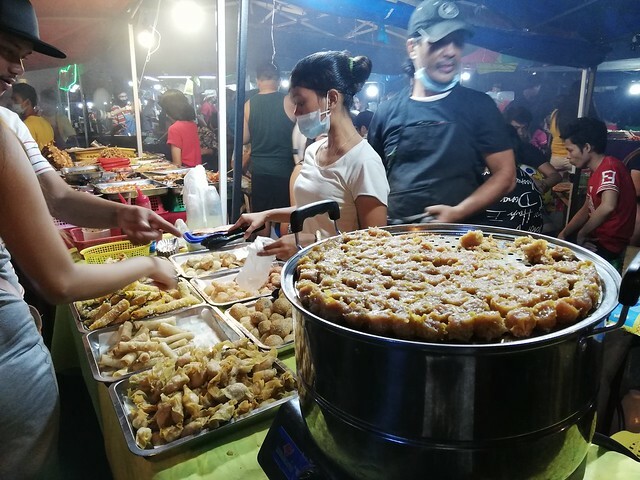 We then found a stall that sold lumpia, dynamite cheese sticks, and glutinous rice cakes. We bought them all! In fact 5 for each. Damn. It was definitely a unique and ridiculous experience. The ice cream is infused with activated charcoal and it makes your teeth black when you eat it. The taste is not even that good, but it’s all about the experience. It’s definitely a must try. 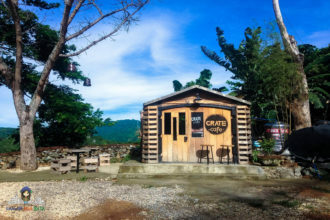 But the food trip was far from over. 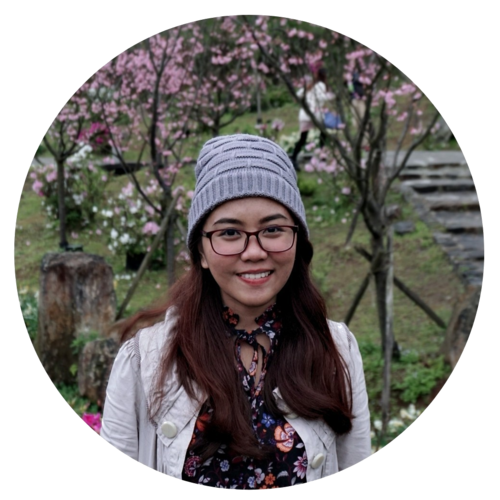 I wanted to find some durian vendors because my friend, Charlyn, has never tasted one yet. We couldn’t just leave Davao City without trying one. Right across Roxas Night Market, we found a street vendor and ordered a small durian fruit. 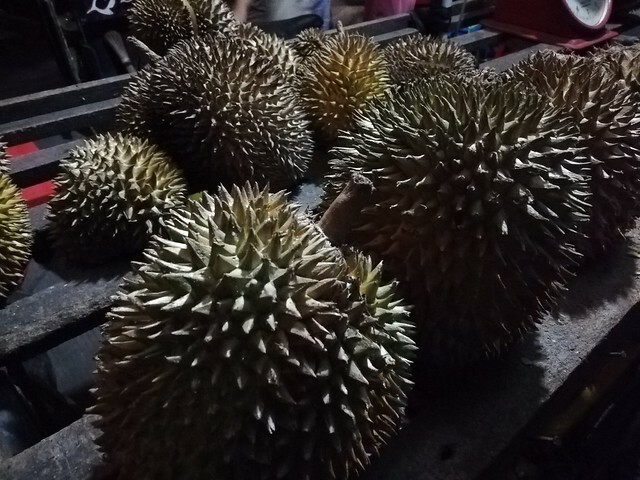 Unlike other fruits where I can immediately enjoy the taste the moment it enters my mouth, eating durian is always a different experience for me. I like how it tastes, but I need to eat like probably two or three of its fleshy petals before I can enjoy it. I don’t know. That’s just me. My stomach couldn’t handle one more bite after that. It was a great way to cap off the night. Oh, Davao City at night.